Sandile Tshabalala is a Corporate Governance Assistant at Lombard Insurance. He is a Law and English Literature Graduate from the University of Cape Town. He also has a Children’s Rights certificate from the University of Geneva in Switzerland. He has previously interned with Human Rights Watch, Socio-Economic Rights Institute in Johannesburg and the United Nations Human Rights Council in Geneva, Switzerland. 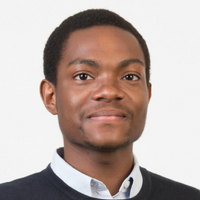 Sandile is passionate about Corporate Governance and Children’s Rights.